Tyson chicken products have been recalled by the US. The Health Ministry advises consumers not to buy them and wholesalers to withdraw them from stores. The Ministry of Health has warned consumers not to purchase frozen Tyson chicken strip products as they may be contaminated with pieces of metal. It also advised local wholesalers to voluntarily recall the products with immediate effect. 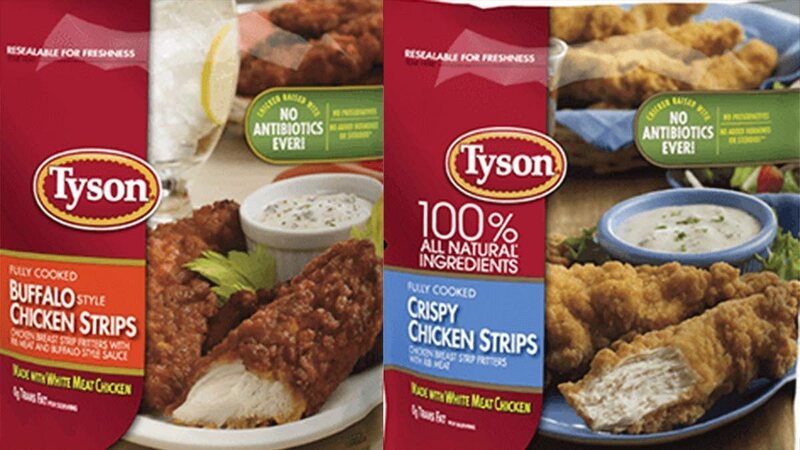 In a release yesterday, the ministry noted that Tyson Foods Inc and the US Department of Agriculture’s Food Safety and Inspection Service recalled about 69,000 pounds of frozen, ready-to-eat chicken strip products. It said while there were no confirmed reports of adverse reactions, consumers were advised not to consume these products with the best if used by date of November 30, 2019 and the establishment number P-7221 on the back of the product package. The products included 25-oz plastic bag packages of frozen Tyson fully cooked buffalo style chicken strips; chicken breast strip fritters with rib meat and buffalo style sauce; 25-oz plastic bag packages of frozen Tyson fully cooked crispy chicken strips; and 20-lb cases of frozen Spare Time fully cooked, buffalo style chicken strips; chicken breast strip fritters with rib meat and buffalo style sauce. President of the Supermarkets Association Rajiv Diptee told Newsday since the advisory was only sent yesterday morning, the association had not yet been able to confirm if any of the contaminated batches of product were actually brought to TT. However, he said consumers still needed to be vigilant. He said the association would have to pay closer attention to trends but usually when there was an advisory or recall consumers avoided the brand for a time and purchased alternatives. However, after a period of downtime sales would return to normal. Things might be different for Tyson products though because this was the second recall for the brand within the space of two months. On January 31, the ministry noted that Tyson had to recall 36,000 pounds of frozen chicken nuggets after consumers reported finding soft blue pieces of rubber inside them. He added that, in the case of the contaminated romaine lettuce from the US last November, since the product was not returned to suppliers but dumped and destroyed as the ministry advised, it had to be counted as a loss. However, he said even in those situations, stores could apply for credit rebates from their suppliers and they may or may not receive the rebates depending on the relationship between the two. Reply to "Tyson chicken may contain metal"